Swollen, red gums are often the result of having crowded teeth or teeth that are toot spaced out. These effects are unfortunately signs of periodontal disease. When we have teeth that are perfectly aligned, it makes it easy for our gums to fit more secure around our teeth. This allows for healthy gums and combats against periodontal disease. 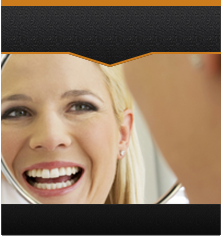 Invisalign is one option that helps teeth that are spaced or crowded. This Invisalign system offers comfortable and clear aligners that gently and gradually move our teeth into proper position. If you have more questions about how you can straighten you teeth or about how correcting you bite can help with your gums, please give our office a call at (480) 988- 2282. Power Ranch Dental would love to get you in for an appointment and present you with all of your different treatment plan options. We look forward to meeting you soon!